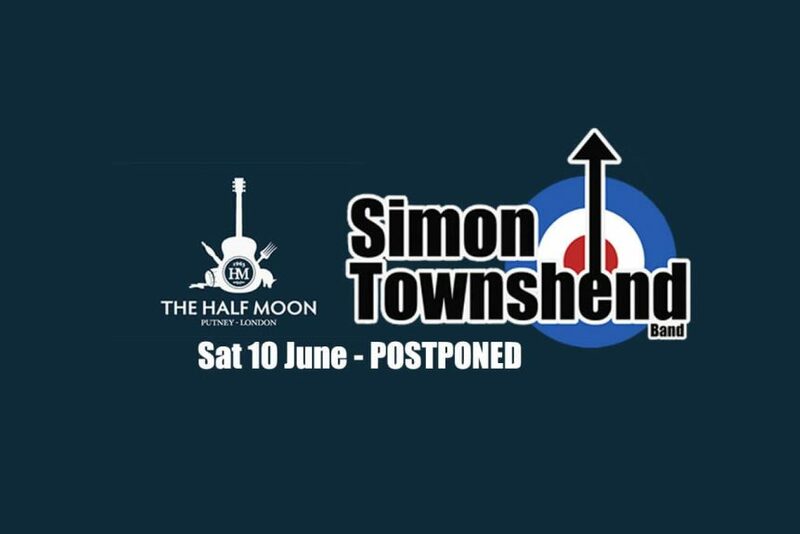 Unfortunately due to unforeseen circumstances we have had to postpone the Simon Townshend Band’s show on 10th June 2017. However, Simon will be back performing at the Half Moon on Sunday 4th February 2018 – a special date in our diary as it is the final day of Independent Venue Week. Both the Half Moon and Simon would like to apologise for the inconvenience caused – the tickets you have bought remain valid for Simon’s show 4th February show.